Saying that it has not increased the Model S price in three years, Tesla Motors announced an across-the-board $2500 price bump along with a few tweaks to standard equipment, options, and maintenance plans. The last couple weeks rumors have circulated that Tesla Motors was about to raise the price of the Tesla Model S. On Thursday, Tesla indeed announced a modest price increase, noting the base MSRP had remained the same since 2009 and spinning the price increase as an adjustment for inflation. In fact, Tesla is increasing the base MSRP by only half the amount of the general rate of inflation (CPI). The Model S was first announced in 2009 had a base price of $57,400 ($49,900 after federal tax credits), for the 40 kilowatt-hour model. The Model S comes in three varieties, with a 40 kilowatt-hour, 60 kilowatt-hour ($67,400 base price), and 85 kilowatt-hour ($77,400 base price) battery pack capacity for different electric driving ranges. The price increase announced on Thursday applies to new reservations starting on Jan. 1, 2013. It does not apply to existing reservation holders, as of Dec. 31, 2012, as "long as they finalize their order within a reasonable, predefined time-frame after being invited to configure their Model S." If a reservation holder does not finalize their order quickly enough, their reservation does not go away but it'll reflect the new prices. The actual price increase is $2,500 for each model ($2,600CAD in Canada) putting the base prices at $59,900 for the 40 kilowatt-hour model, $69,900 for 60 kilowatt-hours, and $79,900 for 85 kilowatt-hours. Tesla Motors points out that other automakers have had three opportunities to increase prices since 2009. These prices are before any tax credits. To soften the blow of the price increase, all Model S varieties will now include 12-way adjustable, heated front seats as standard equipment at no charge. The Performance Package will now include 19" wheels as standard equipment and 21” wheels and tires will be a $3,500 option. 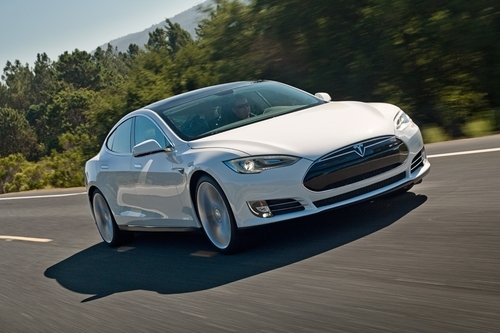 Model S comes standard with a Four Year, 50,000 mile New Vehicle Warranty. An additional Four Year, 50,000 mile Extended Warranty will now be available for $2,500. New options are available for the prepaid maintenance program. Several months ago it had been announced as a Four Year, up to 50,000 Mile Prepaid Maintenance program for $1,900, or $2,400 with unlimited Tesla Ranger visits. Model S owners can now purchase an additional Four Years and 50,000 miles of Prepaid Maintenance for an additional $1,900, or $2,400 with unlimited Tesla Ranger visits. This means Model S owners can cover everything on their car, except tires, for eight years and up to 100,000 miles for $3,800, or $4,800 with unlimited Tesla Ranger visits. Finally, the company has received several requests for battery pack replacement pricing and options. Up until now battery pack replacement prices weren't public, and are $8,000 for the 40 kWh battery, $10,000 for the 60 kWh battery, and $12,000 for the 85 kWh battery. Tesla has not yet announced Model S prices for Europe, but when they do those prices will already incorporate this price increase. For existing Model S reservation holders in Europe and other places outside the U.S., Tesla will deduct the equivalent of €1,700 from the base price they'll pay, as long as they finalize their order within a reasonable, predefined time-frame after being invited to configure their Model S.
The Model S is Tesla's first car designed from scratch by the company. It is a luxury sedan that can seat up to 7 people (with the optional 3rd row of seats), and sports awesome cargo carrying capabilities with trunks in both front (in what would normally be the engine compartment) and back. The 85 kilowatt-hour model is rated by the EPA for a 265 mile electric driving range. It includes a high power flexible charging system that can plug in to practically any power outlet, and with the right equipment can recharge fully (265+ miles driving range) in about an hour. The company is planning to build a nationwide network of fast charging stations allowing Model S drivers the freedom to drive coast-coast on electricity. In November, the Model S was named Automobile of the Year by Automobile Magazine, and named Car of the Year by Motortrend. I Thought this article interesting: The price increase of $10,000 for each 20kWhrs is quite reasonable, as our cells, by the time they arrive are $15,000 for 32 kWhrs, just under the $.50 a W/h that Tesla charges on their new cars. What's interesting though, it that they've just published prices for replacement packs at $8k, $10k, and $12k for 40, 60, and 85kWhr packs respectively. To me this means that the labor and materials that any pack replacement requires is roughly $4k. The cost of cells is then, $.10 per W/h, with a slight discount giving the 85kW/hr pack 5kWhrs for free. 40kW/hrs=$4k plus cells at $4K, 60kW/hrs $4k plus cells at $6k, etc. I can't imagine being able to buy cells at $.10 a Wh. Are they subsidizing in order to take away the fear of battery replacement cost? Are they betting on that kind of price reduction? Or are they betting that the cars won't last long enough to need a battery replacement? I like it much better than Nissan's policy of keeping it a complete secret. I almost didn't buy a Leaf because they wouldn't give me a price on a replacement pack. Of course If I wanted to buy Tesla packs for a Tango right now, I doubt they'd sell them to me, and, they could also up the price by the time someone needs a pack. Just random thoughts. The Tesla is looking like it might be a viable car for a lot of people at this pricing.